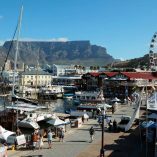 Knysna’s economy was hit hard by the fires that raged through the town last year but is now on the road to recovery. Wednesday June 7 marked a year since the devastating Garden Route fires which destroyed a large part of Knysna. The fires did not only claim lives but was a blow the tourism industry as well. According to Knysna Tourism it took a lot from the tourism department and municipality to assure visitors that Knysna was still standing and had something to offer. 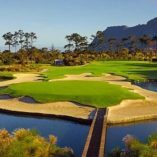 One year on, the Knysna tourism industry is yet again staging one of the regions biggest festivals, which will boost the local economy to the tune of millions in revenue. 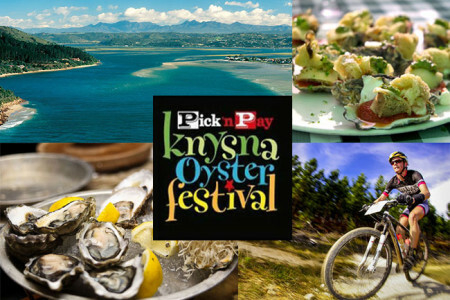 The annual Pick n Pay Knysna Oyster Festival will take place from 29 June – 8 July 2018 in Knysna, the heart of the Garden Route.. The Momentum BIG5 Challenge is the Ultimate Multisport Challenge, competitors participate in 5 events over the 10 days of the Festival. The full distance version of the Momentum BIG5 Challenge is the ultimate test of speed, stamina, and skill. Prepare yourself to be pushed to your absolute limits, physically and mentally. Over 150km will be covered by those who manage to complete the Momentum BIG5. From a brutal 80km mountain bike to finishing with a half marathon in the forest and all the running, swimming, and cycling in between. There’s also a new hot sauce in town, and we’re here to stay. This Pick n Pay Knysna Oyster Festival, come and get a taste of Heinz’s shuckin’ good hot sauces and prepare to spice up your oyster experience in a bold and exciting, new way. Look out for Heinz’s hot-spot flags outside the 20 local restaurants and pair up delicious oysters with the taste of Heinz’s shuckin’ good sauces. The Momentum Health Kiddies Area is a fun, secure play area tailored specially for the littlies! 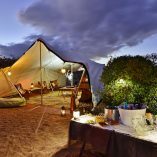 The area is supervised by qualified child minders and offers loads of awesome, age-appropriate activities to keep the kids entertained during the ‘Best 10 days of your winter’, leaving Moms and Dads free to enjoy the Festival and to be relaxed. The fun includes everything from arts and crafts, jumping castles and loads more. Open to kids from 2 to 12, there is no charge but children must be checked in by their parents/guardians. 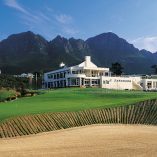 Don’t forget to pack your golf clubs and come and enjoy a few rounds at some of the Garden Route’s top courses.